The failure was due to a flashover on the bushing. 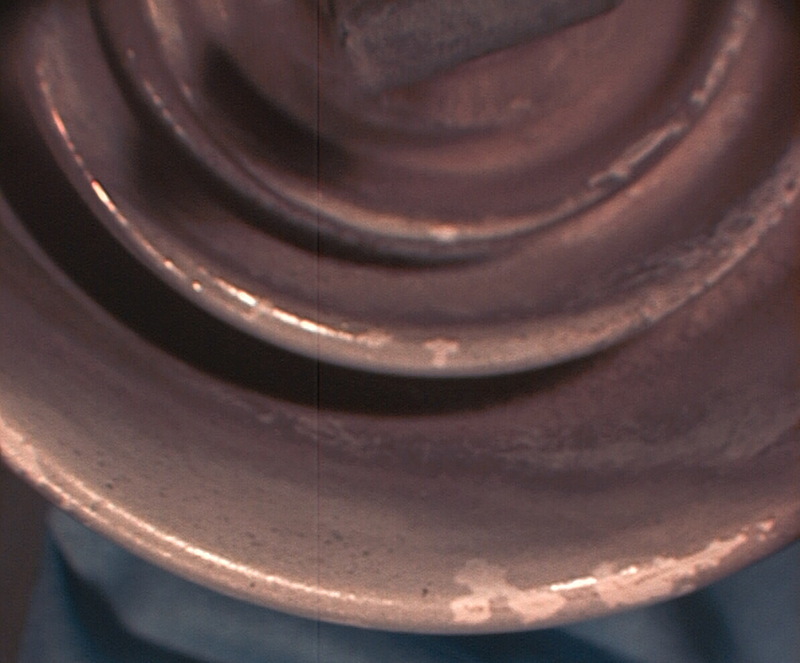 The settled dust and debris on the bushing had had fused into a glassy layer. The ligher areas are regions where the differences in the thermal coefficient of expansion were so different that the glassy layer spalled off the bushing. The failure in this case was due to a coating of nitrate fertilizer applied to the fields adjacent to the Sub- Station. Heavy dew resulted in an electrolite solution covering the bushing, similar to marine salt caused failures in some coastal areas.